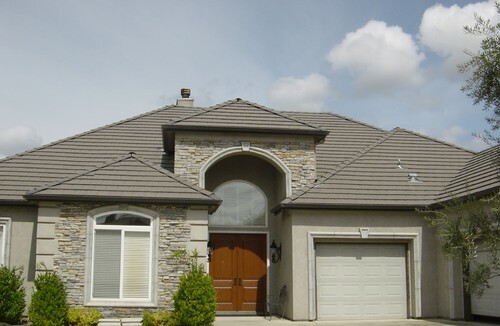 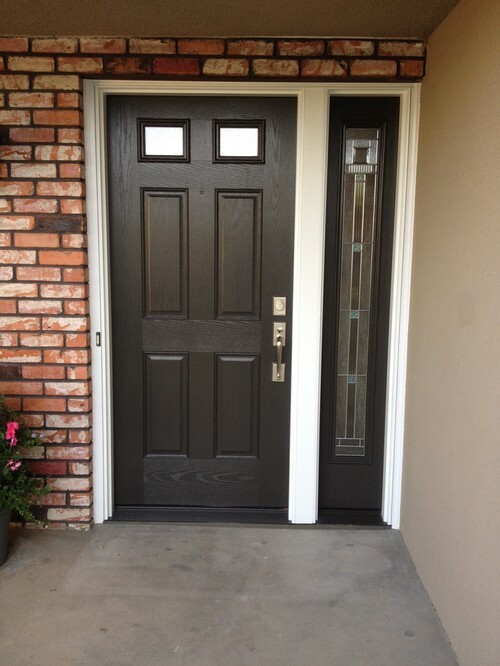 No single feature will enhance the curb appeal of your home as much as the perfect front door. 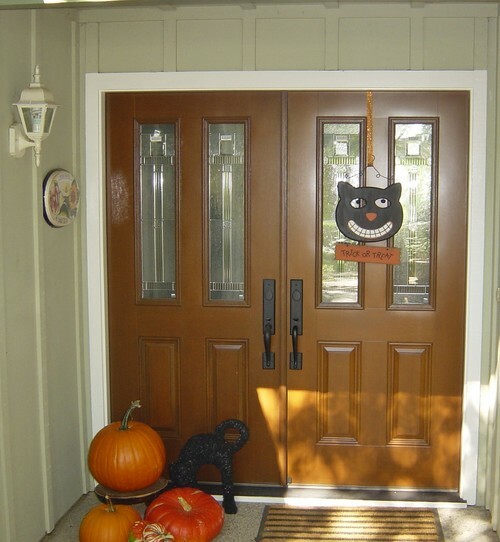 Like a radiant smile, the impression is powerful and long lasting. 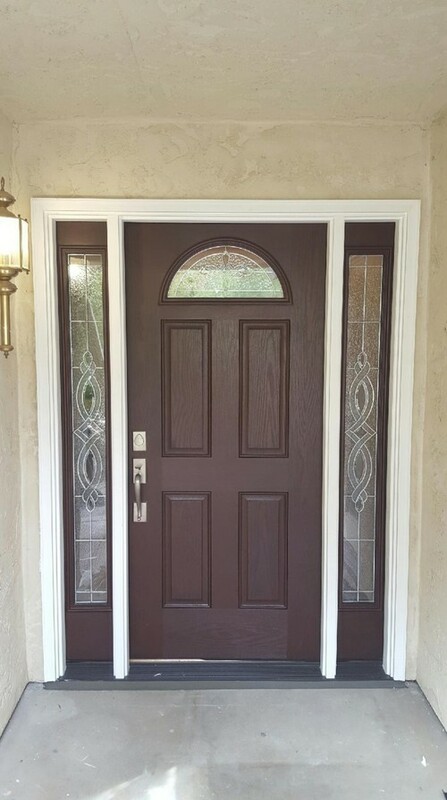 So choosing the right entry door is important. 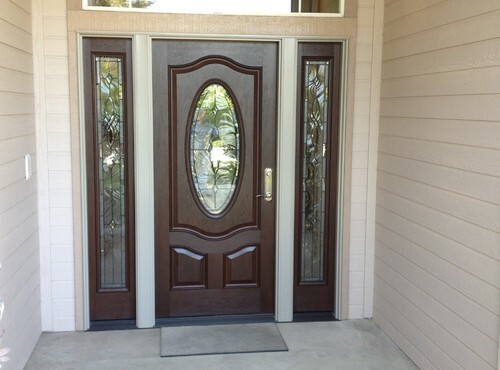 Pella Fiberglass Entry Doors are elegant and durable. 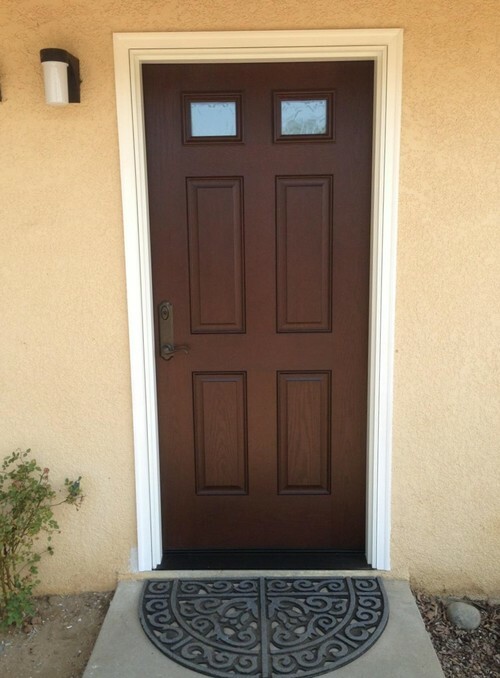 Our lifelike woodgrain textures and stains radiate all the warmth, charm and natural beauty of real wood, but with all the durability of fiberglass construction. 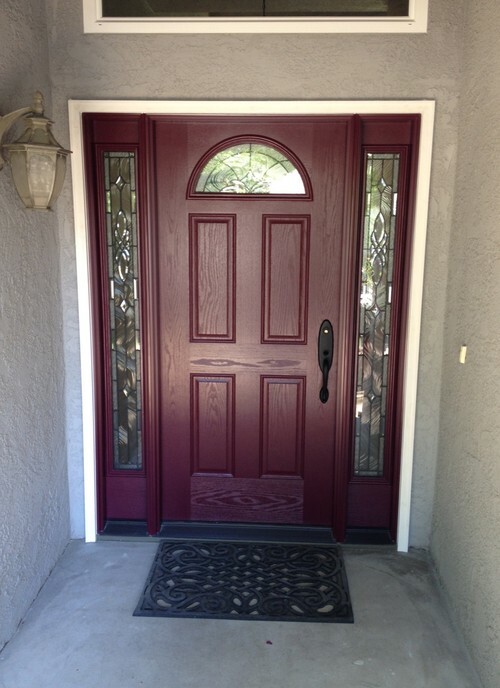 Or, to tell a different story, our smooth finish doors may be painted to reflect your imagination. 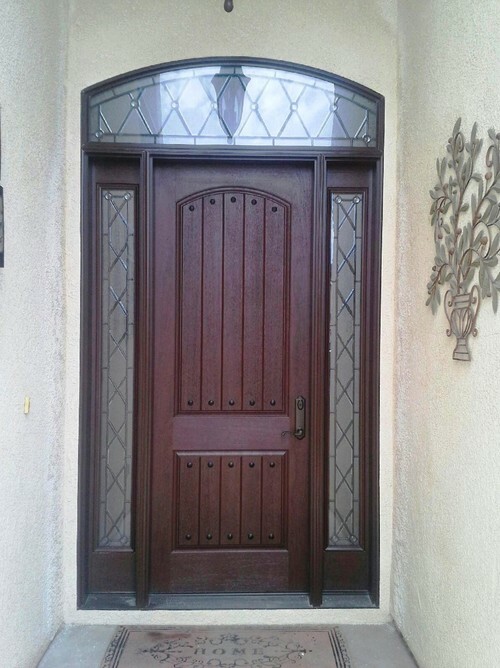 You may choose a solid door or one with an inset doorlite with a decorative glass design or clear glass. 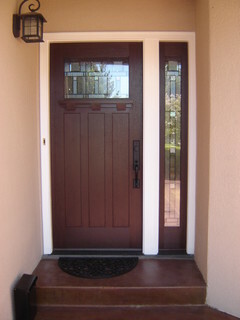 And adding matching sidelites and a transom can give your entryway even more impact. 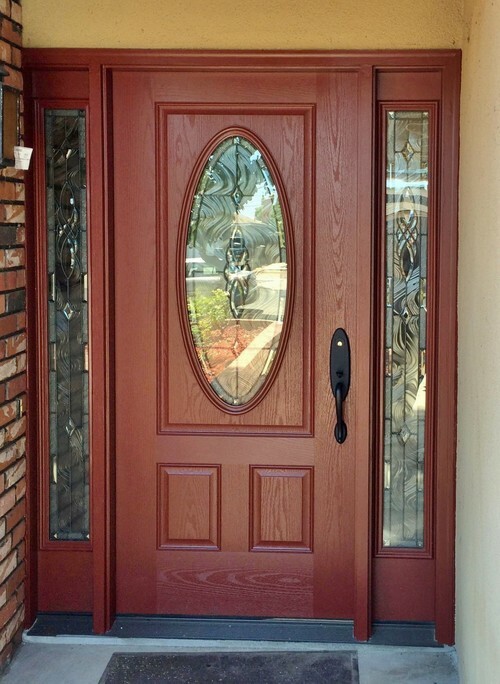 With Pella Fiberglass Entry Doors, it's all about offering you beautiful choices. 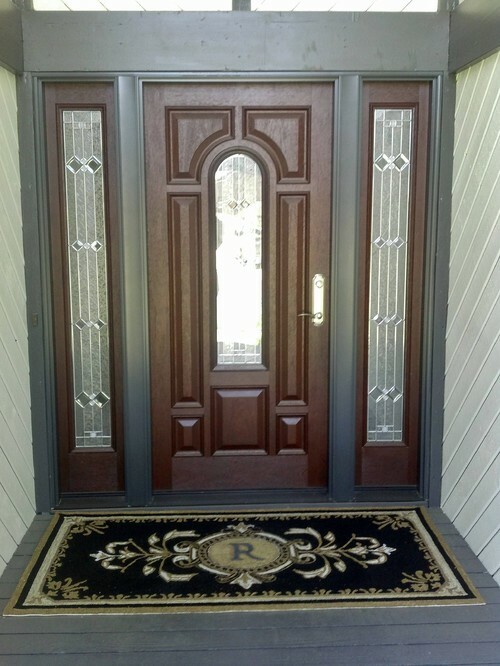 Because your home and your entryway should reflect your taste. 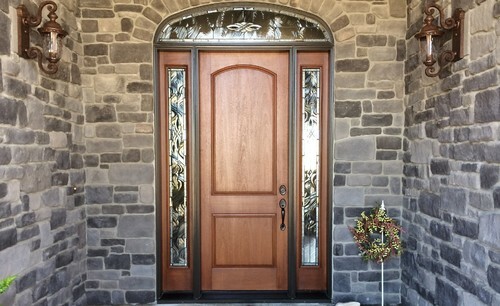 Please click here to view the Pella Fiberglass Entry Door brochure.